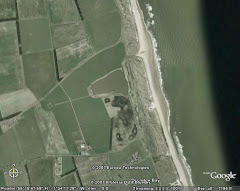 Druridge Diary: Twitching and patch oddities. The undoubted ornithological highlight this week, possibly the year, was off-patch. 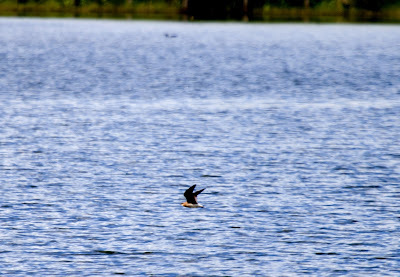 A black-winged pratincole was found yesterday afternoon by Dave and Bob Dack at Bothal Pond. 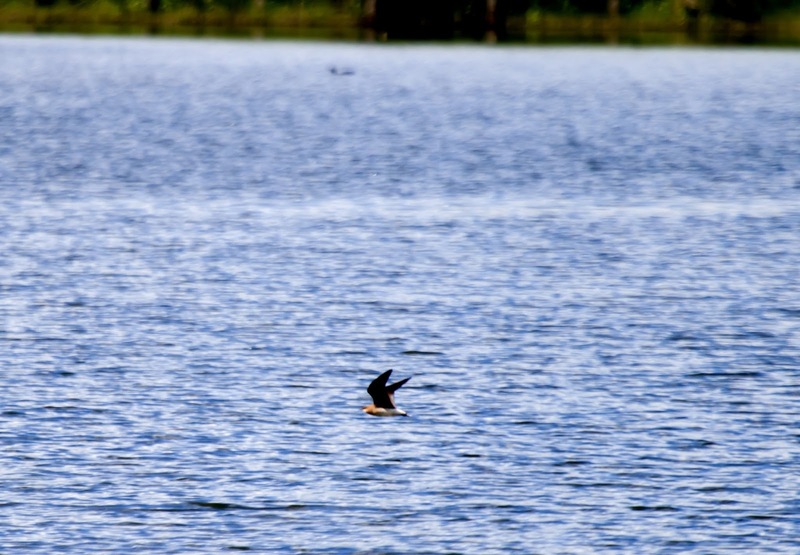 A new bird for me, anywhere in the world, it showed terrifically well, flying regularly back and forth over the pond. It didn't come too close to the southern shore so this is the best photo I managed. 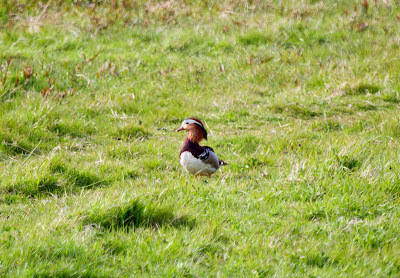 A cracking bird though, so cracking I spent over two hours watching it. 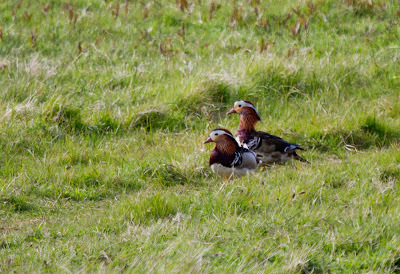 Back on the patch, on Wednesday morning two mandarin ducks and a barnacle goose were reported on the Budge fields. I had to drive past Druridge, so took my lunch-break on the patch, catching up with both species. Since my first patch mandarin in June 2012, I've recorded the species in three out four years. Odd timing for a barnacle goose, maybe it had decided not to make the trip back north? There was also two garganey and a little ringed plover of note. On Thursday a male ruff was present and it was joined by a second today along with a black-tailed godwit and the two drake mandarins.